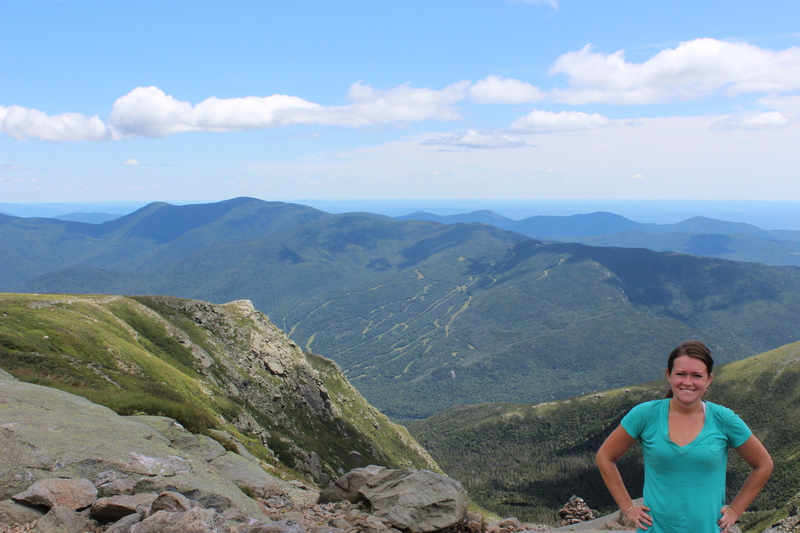 Mount Washington is the highest point east of the Mississippi River. 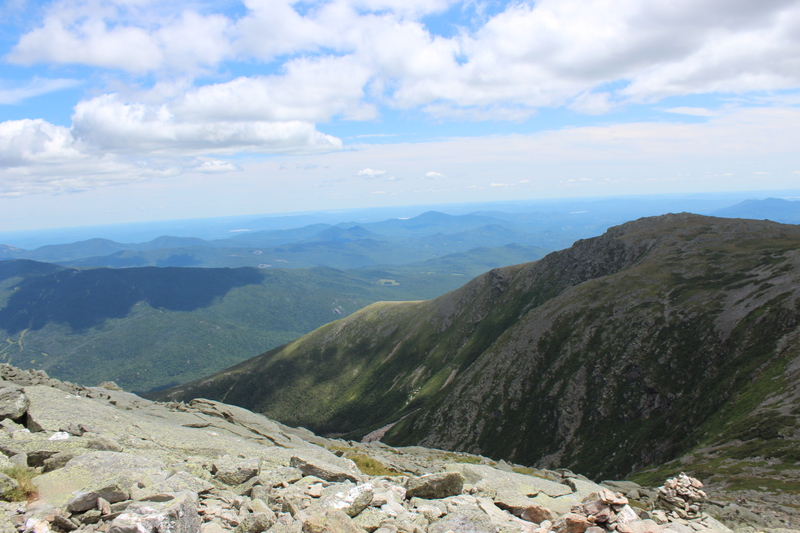 It is located in New Hampshire and is known for its terrible weather at the peak. You can be standing at the bottom and it will be a sweltering 95 degrees and when you get to the top, it will be 40 degrees, feels like 30 with 5 mile per hour winds. If that sounds horrible to you, you don’t even want to think about what it is like in the winter. 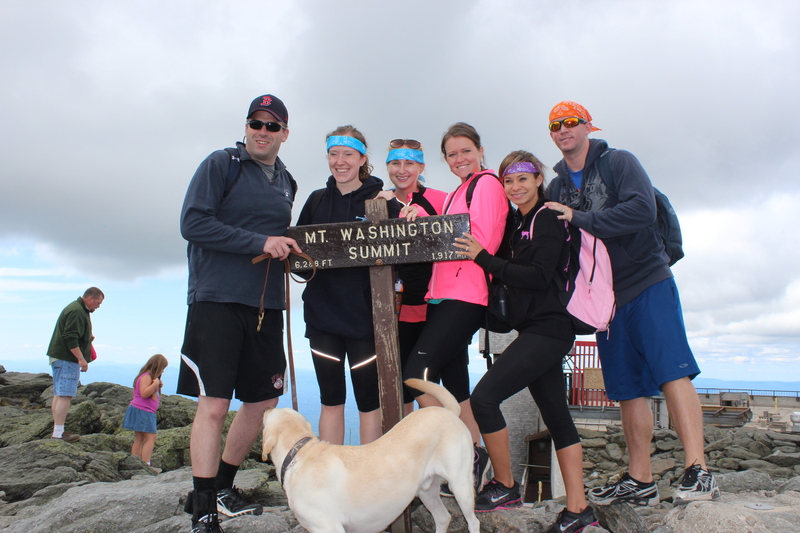 The peak is 6,288 ft above sea level. There are a few different ways that you can head up the mountain. You can drive up the steep winding slope. Some drivers get a bit nervous at doing this so you can also jump on a van for 30 bucks a head. 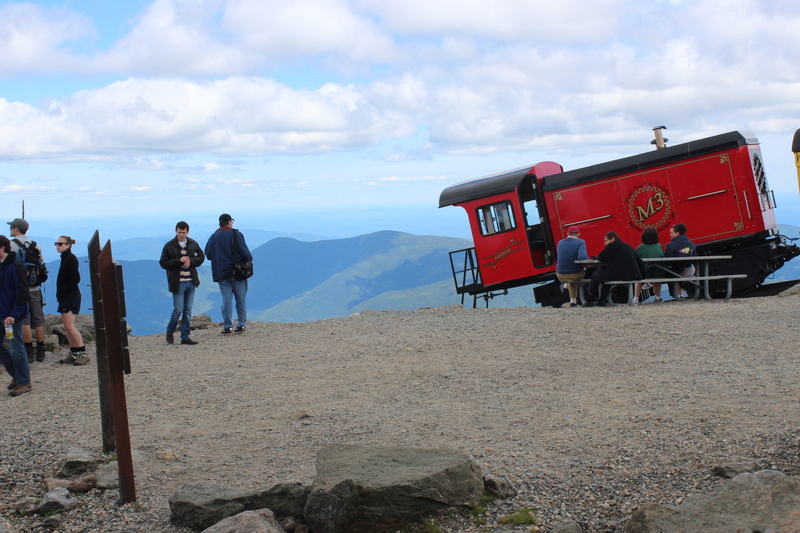 You can also take a cog train to the top. I have done this before, and you pretty much jump on a train that heads straight up the mountain. You can actually stand in the aisle and lean at a 45 degree angle forward without falling over (it’s that steep). But! the by far most rewarding way of getting to the top of this giant is by hiking. 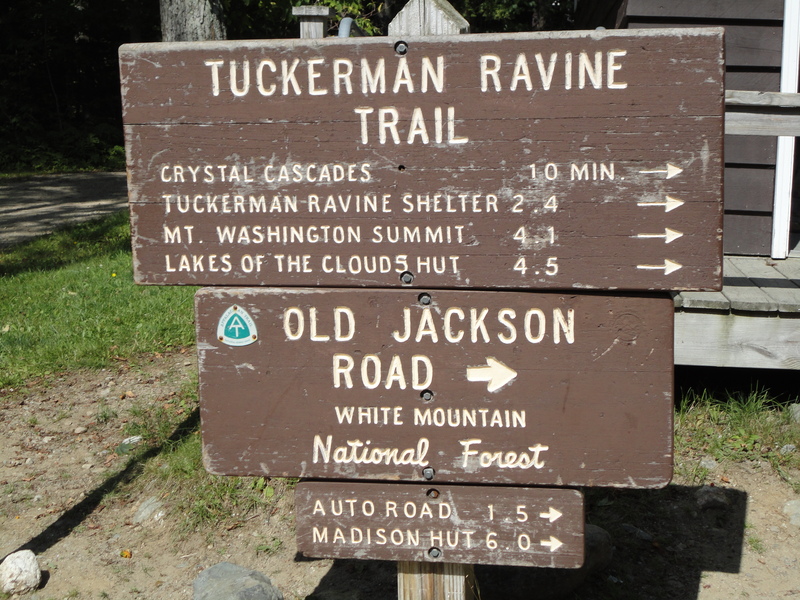 The most common trail is the Tuckerman’s Ravine Trail which will get you to the top in 4.1 miles. This doesn’t sound too bad until you realize that you will be climbing 4,300 feet in those 4 miles. 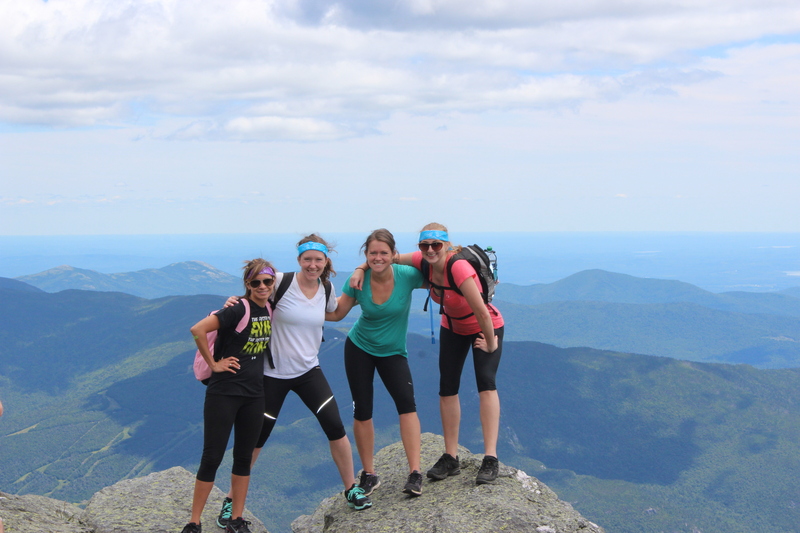 I have hiked it twice, and it was just as rewarding both times. The trail is very well marked so you don’t need to worry about getting lost. And there are several other people on the trail at any given time to help with encouragement. At the half way point, there is a cabin with some bathrooms, picnic tables and just a nice place to relax for a bit and to enjoy the view. We stopped here and enjoyed a peanut butter and Banana Sandwich. 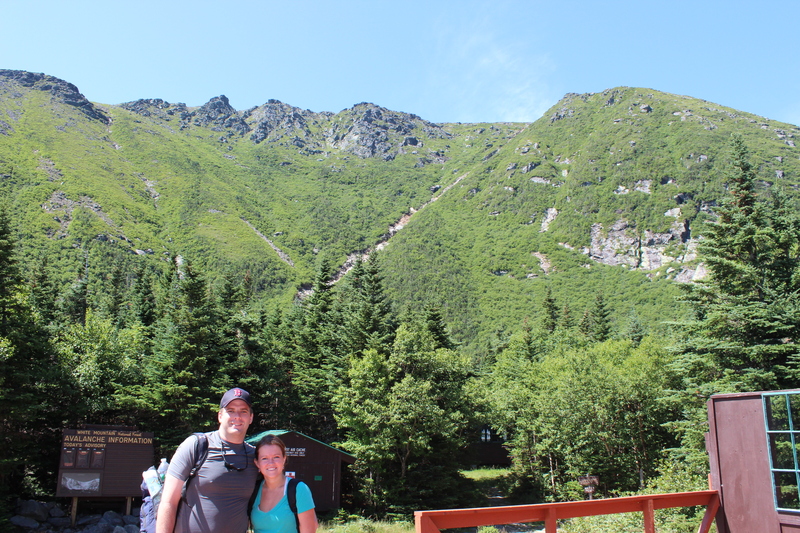 We also snapped a few pics of the mountains surrounding us, which we would soon be standing on top of. 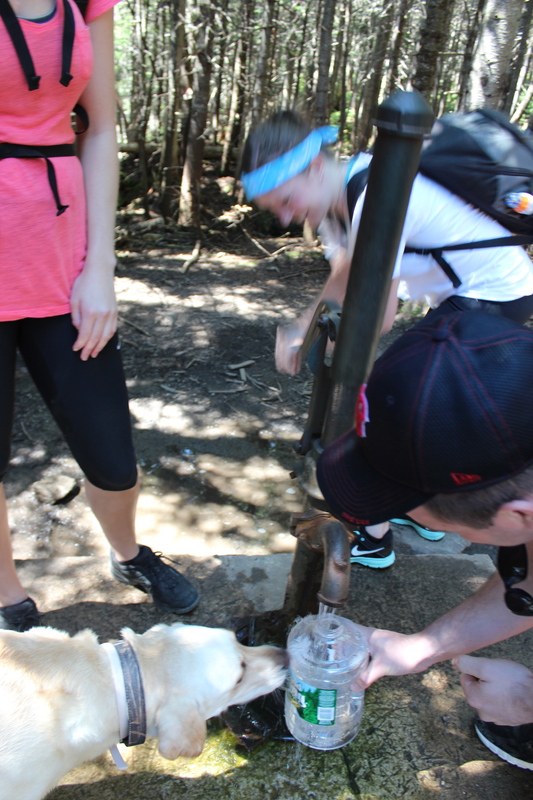 At the half way point, they also have a water pump that you can refill your water bottle at, with a little help from your fellow hikers! The actual hike is definitely a challenge. It is not easy, especially if you aren’t used to high altitudes or this level of exercise. It is doable. And the feeling that you get when you finally get to the top is like nothing else. It makes every struggling step to get to the top worth it. It is truly an accomplishment and you know it. When you get to the last half a mile, your body is extremely tired, and the low amounts of oxygen in a air really starts to take a toll. Breaks start becoming every five minutes and they last longer and longer periods of time. At some points, you will find yourself practically crawling out of exhaustion. You will doubt whether or not you can make it. And when you are really struggling mentally and physically, you will find people jogging happily down from the summit encouraging you, “You only have 20 minutes to go! You can do it!” It’s little things like that, that will get you to the top. Don’t forget to stop and take a moment to really appreciate the views and the milestones along the way. When you finally get to the parking lot, don’t get too excited, you still have to climb the largest set of stairs I have ever seen (or at least it feels like it). At the top of the stairs, it is a feeling like no other. Every tired muscle, every ache, every complaint that you have instantly washes away. You are completely in awe of the view and of everything that you just accomplished. The people jumping out of their cars and whipping out their cameras aren’t seeing the same view as you. You have a real appreciation for that mountain and your surroundings. You earned that view and that moment. Pictures don’t do this justice and I don’t think they ever could. 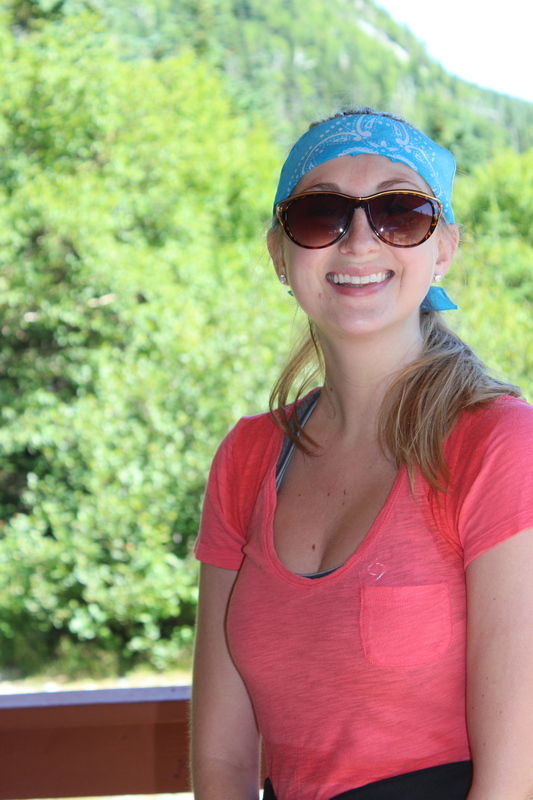 Overall, the hike takes about 5 hours up and 2.5 hours down. You can do it faster, but this is an average of my two climbs. Going down is much easier and much faster. We only stopped at the half way point on the way down for a short break.